These Double Tier Student Hall Lockers are available on www.buyusedlockers.com where they have a huge selection to choose from if we need additional supplies. Double Tier School Hall Lockers for sale. We have 4 locker compartments that are 9" wide x 15" deep x 36" high in 2 columns that are 72" high overall. 9" wide lockers are a nice option when floor space is an issue. These hall lockers are tan and are in very good condition. These lockers accept all types of locker locks including key or combination padlocks or built in key or combination locks. 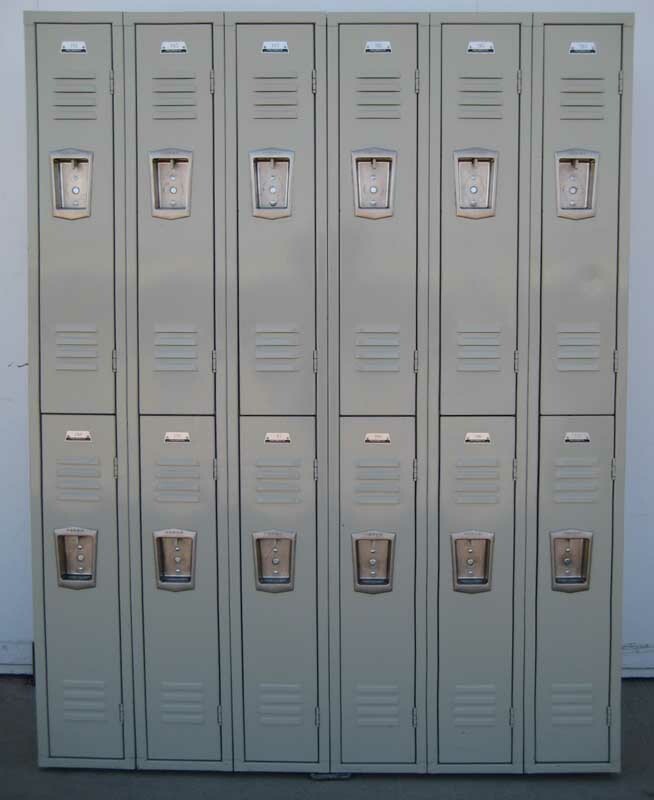 These lockers are assembled and available for immediate shipment.